This is the third in a series of opinion pieces on how to fix democracy. IN 2012 A CONTROVERSIAL government advertisement in Taiwan proposed a peculiar idea: “Instead of wasting time deliberating policies, let’s focus on doing the groundwork and get things done!” In response, four programmers with a civic-minded ethos did something else entirely. These “civic hackers”—that is, politically minded computer programmers with an activist ethos—built a citizen auditing system for Taiwan’s central government budget. They made data from the Accounting and Statistics Office accessible, easy to understand and interactive. The public could rate and comment on every item in the budget. This became the foundation of the g0v (“gov-zero”) movement, which is now one of the world’s most active civic-tech communities. Since then, Taiwan has put online collaboration at the core of its governance. The idea is to bring technology into the spaces where citizens live, rather than expect citizens to enter the space of technology. The premise is this: the government must first trust the people with agenda-setting power; then the people can make democracy work. Taiwan did not always enjoy these freedoms, digital or otherwise. In 1987 martial law was lifted after nearly 40 years. The first direct presidential election took place in 1996, just as the internet was taking off. By then, Taiwan had a fairly robust civil society, built on an historic practice of community associations that used “collaborative action” to find common solutions. The island of Taiwan is about 400km (250 miles) long, a journey of less than two hours by high-speed rail. This has proved a major advantage in deploying internet connectivity. The idea of broadband as a human right is at the core of the government’s policy. Some 87% of people over the age of 12 are connected. For a population of 23m, the internet is even more natural as a public space for discussion than the practice of voting. Today, generations accustomed to authoritarian power and generations accustomed to freedom coexist, and occasionally clash. Yet a common thread running through our digital democracy projects is collaborative participation. 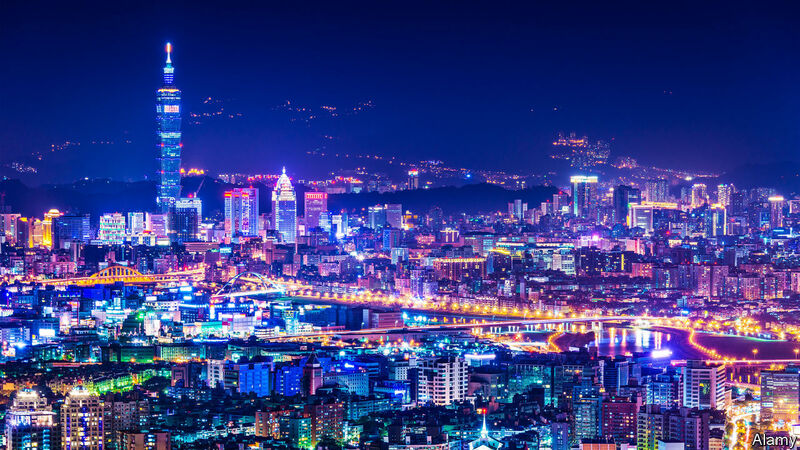 Taiwan’s national platform for online participation, called “Join”, and the Taipei City government have adopted the g0v system for projects to include the public in budget matters. Data visualisation tools help people to understand what is allocated where. The “Join” platform, with over 4m participants, extends beyond budget matters. Anyone can begin an e-petition on the platform. Once a case has 5,000 signatures, the relevant ministries must respond in public. As Digital Minister, I have established a network of Participation Officers in each ministry. They serve as the links between the general public and the public sectors, and as channels for inter-agency collaboration. Whenever a proposal is raised, a collaborative meeting can be held, with participants from government departments and the public invited to join the discussion and to jointly create new policies. So far we have held more than 40 collaborative meetings. We gathered stakeholders to find solutions, be it to improve the experience of filing income tax, the allocation of medical resources in remote towns, or balancing the fishery and marine biodiversity in national parks. The adoption of civic innovations in the public sector requires an established system for regulation, maintenance and accountability. Thus, it is imperative that the government, the tech community and companies come together to form a collaborative ecosystem to amplify the impact of civic technology: code can support democratic values in a way that wasn’t previously possible. It is only through integrating with the existing legal system, with the backing of laws and regulations, that social innovation can drive regulatory innovation. For example, we launched a Regulatory Sandbox platform in 2017, allowing entrepreneurs to experiment freely without legal constraints for a certain period of time. It is meant to spur fintech experiments and autonomous vehicles, among other innovations. Another important driver for public participation in law-making is the vTaiwan platform, which was initiated by the g0v community. (Where the Join platform is run and maintained by the government, vTaiwan is run by citizens and maintained by g0v.) The legal status of Uber was heatedly discussed on vTaiwan, supported by a system using artificial intelligence to manage the conversation. This helped the different sides converge towards a “Diversified Taxi Services Plan” in 2016. In 2018 vTaiwan also successfully helped enact regulations for the platform economy. In addition to lowering the barriers to democracy, this approach is also a process of mutual understanding. When the public sees the results of collaboration, it leads to more participation. Only through this cycle will it be possible for citizens to provide concrete feedback and go even further by applying, adjusting and contributing to the civic tech community. Our goals for PDIS, the policy lab in Taiwan’s cabinet, is to bring these experimental results to people all over the world. We have visited New York, Toronto, Madrid, Tokyo and Hong Kong to co-organise workshops with civic tech communities for sharing democratic innovations, such as our Participation Officers network and collaborative meetings. The g0v programme has been transplanted internationally, with “g0v Italy” set up in 2018.
International co-operation is no longer just about agreements between governments: it is also about people building shared values. For example, at our Presidential Hackathon last year, the cross-sectoral team “Water Saviours” deployed machine learning to assist pipe repair with an accuracy rate of 70%. The team was then invited by the New Zealand government to co-create solutions to address water leakage. At a time when the world is rethinking basic elements of governance, Taiwan’s digital democracy—in which the people take the initiative, and the government responds in the here and now—can serve as a demonstration of new forms of citizen and state co-operation and dialogue for the 21st century. 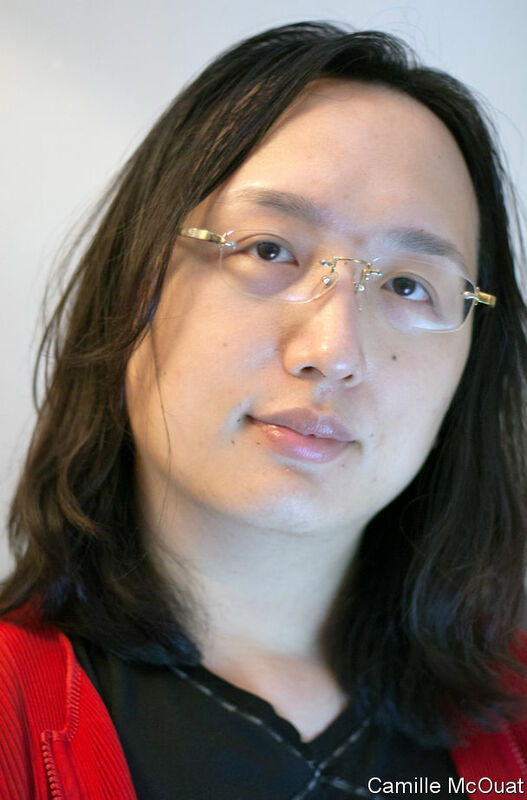 Audrey Tang is the Digital Minister of Taiwan and the first openly transgender government minister in the world.